A combination of advanced technology, extensive research and rigorous testing, Bose 251 speakers set a new standard for performance and reliability outdoors. 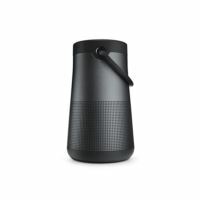 An Articulated Array speaker design reproduces sound over a larger listening area. 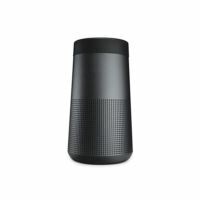 The result is a wide distribution of sound, so you can enjoy music equally from both speakers as you move around outdoors. And the patented multi-chamber enclosure helps reproduce music's lower reaches with exceptional fullness and depth, without audible distortion, from a small design. 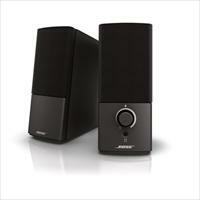 These Bose multi-purpose speakers offer high performance in a slim and elegant design for stereo surround sound use. Stereo Everywhere speaker performance delivers stereo almost anywhere in the room. Articulated Array speaker design features two 2-1/2" Twiddler drivers that are angled to reproduce lifelike stereo over a larger listening area instead of one small “sweet spot." The high-excursion Twiddler drivers generate more air movement from a small enclosure. 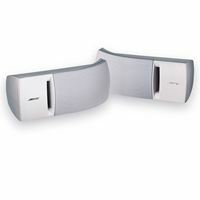 Compatible with amplifiers and receivers rated 10 to 100 watts per channel. 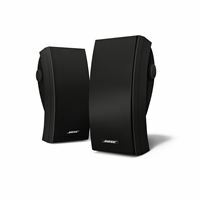 The 201 speaker is the most affordable way to enjoy many of the benefits of Bose Direct/Reflecting speaker technology for performance that approaches a live concert and provides a quality rear-channel home theater solution. 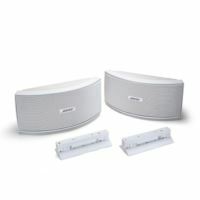 A Stereo Targeting tweeter and 6-1/2" woofer deliver room-filling sound. 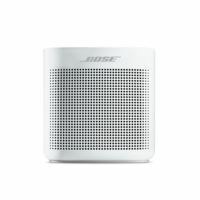 Bose Stereo Everywhere speaker performance lets you hear rich music throughout the listening area, instead of in one small “sweet spot" experienced with conventional speakers. Compatible with amplifiers or receivers rated 10 to 120 watts per channel. 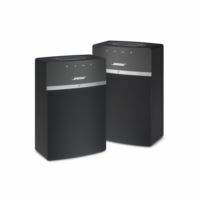 The best bookshelf speakers from Bose, with a sleek new design that combines form with function. 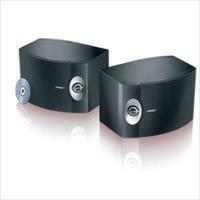 High-sensitivity Stereo Targeting and Direct/Reflecting tweeters, firing out the front and back of the cabinet, deliver Bose Stereo Everywhere speaker performance with an extremely wide soundstage. 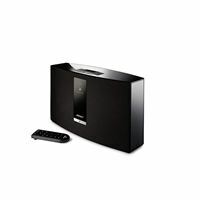 Provides lifelike, spacious sound for music, movies or TV. The 8" long-excursion woofer and unique port geometry produce deep, clear bass. 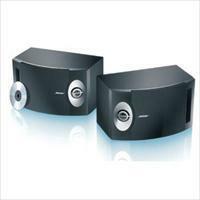 Compatible with receivers or amplifiers rated from 10 to 150 watts per channel. The Free Space 51 speaker brings you the pleasures of your favorite music by the pool . . . on your deck or patio . . . or in the garden. Its radial design delivers broad 360º sound coverage, while a specially engineered enclosure helps preserve music's depth and richness in the open air. 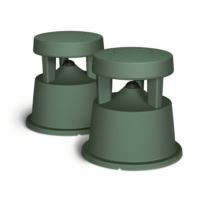 Can be mounted or placed on hard surfaces, or set directly into the ground. Withstands extreme weather conditions for year-round dependability. Finally – a speaker that combines your love of music with your love of the great outdoors. Includes 2 speakers & 4 wire nuts. 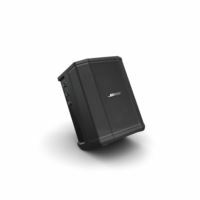 The Bose 151 SE environmental speaker system features Stereo Everywhere speaker performance for balanced stereo sound over a wide area – instead of in a small “sweet spot" – to accommodate the way people enjoy listening outdoors. Slot-port tuning provides deep low–note performance that remains clean, even at high volumes. Compact, contoured cabinet mounts horizontally or vertically and blends unobtrusively into the environment. Rugged design and enclosure withstand harsh weather from season to season, year after year. 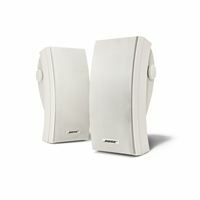 The Companion 2 Series III system delivers a significant performance upgrade over your computer's original speakers and most conventional speakers. 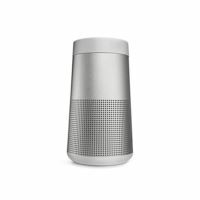 These speakers are engineered with proprietary digital signal processing to improve performance, delivering crisp, clear audio at all listening levels. 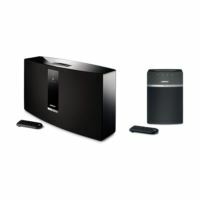 Exclusive TrueSpace stereo digital signal processing reproduces wide, lifelike sound from just two speakers, bringing more life to all your computer entertainment. Shut out the world & lose yourself in your music or let the world in. 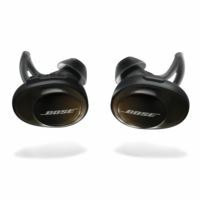 It's your choice with the first in-ear noise cancelling headphones from Bose. The QuietComfort 20 Acoustic Noise Cancelling headphones let you enjoy better sound every day, everywhere you go. Turn on noise cancelling to reduce surrounding distractions & focus on your music. Or, choose Aware mode to enjoy your music while hearing what's going on around you. Proprietary StayHear+ tips provide a soft, secure fit. An inline mic & remote let you easily control your iPhone, iPad or iPod. Shut out the world & lose yourself in your music or let the world in. 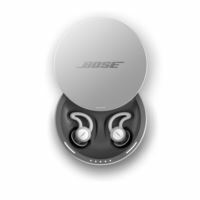 It's your choice with the first in-ear noise cancelling headphones from Bose. 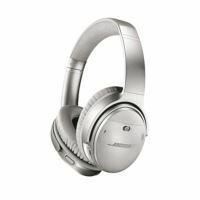 The QuietComfort 20 Acoustic Noise Cancelling headphones let you enjoy better sound every day, everywhere you go. Turn on noise cancelling to reduce surrounding distractions & focus on your music, or choose Aware mode to enjoy your music & hear what's going on around you. 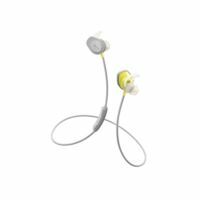 Proprietary StayHear+ tips provide a soft, secure fit. An inline mic/remote for use with most Android, Windows & BlackBerry phones. 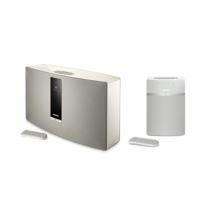 The SoundTouch 10 wireless music system is the easiest way to play music throughout your home. 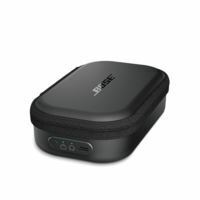 Plus, it's so small, you can place it just about anywhere to stream millions of songs from music services, Internet radio stations and your stored music library – all with full, rich sound. You can even play your favorite music instantly, without a phone or tablet. Simply press one of six presets on the speaker or remote, and the music starts. 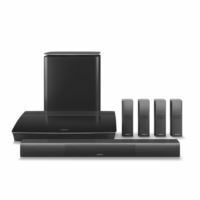 The Bose Solo 5 TV sound system is a one-piece soundbar that brings noticeably better sound to all your favorite TV programs. It's engineered to help clearly reproduce everything from dialogue to details. And for even more clarity, its dialogue mode makes every word easier to hear. 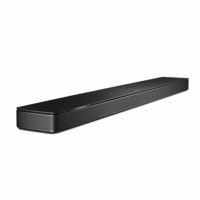 This soundbar is so versatile you can place it almost anywhere. And with Bluetooth® connectivity, you can stream music wirelessly. 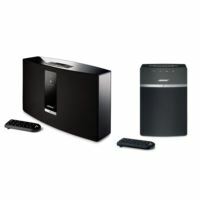 The SoundTouch 20 wireless music system is wireless music made easy. 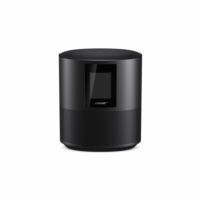 Stream millions of songs from music services, Internet radio stations and your stored music library – all with clear, room-filling sound. You can even play your favorite music instantly, without a phone or tablet. Simply press one of six presets on the speaker or remote, and the music starts. For even more options, Bluetooth® connectivity lets you stream any music from any smartphone or tablet. 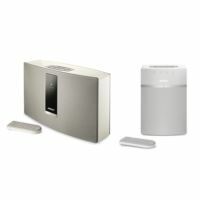 The SoundTouch 30 wireless music system is wireless music made easy. 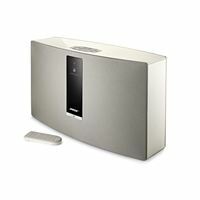 Stream millions of songs from music services, Internet radio stations and your stored music library – all with exclusive technology that fills even your largest rooms with powerful sound. You can even play your favorite music instantly, without a phone or tablet. Simply press one of six presets on the speaker or remote, and the music starts. For even more options, Bluetooth® connectivity lets you stream any music from any smartphone or tablet. Deep. Loud. And immersive, too. The SoundLink Revolve Bluetooth® speaker delivers true 360° sound for consistent, uniform coverage. Place it in the center of the room to give everyone the same experience. Or set it near a wall so sound radiates and reflects. 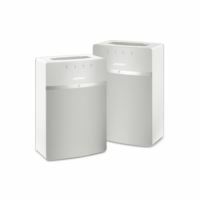 This wireless speaker is durable, water-resistant and easy to grab and go-with a rechargeable battery that plays up to 12 hours. Deep. Loud. And immersive, too. SoundLink Revolve+, the best-performing portable Bluetooth® speaker from Bose, delivers true 360° sound for consistent, uniform coverage. Place it in the center of the room to give everyone the same experience. Or set it near a wall so sound radiates and reflects. 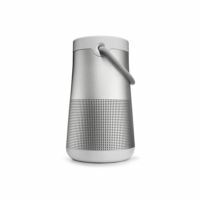 This wireless speaker is durable, water-resistant and easy to grab and go-with a rechargeable battery that plays up to 16 hours. 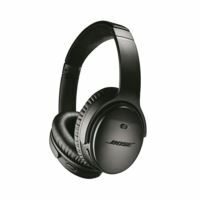 Enjoy a better wireless experience with Bose SoundLink around-ear headphones II. Exclusive technology delivers deep, immersive sound at any volume. And a dual microphone system rejects noise and wind so you'll be heard loud and clear. Switch seamlessly between two Bluetooth® devices, and stay connected to both. A rechargeable battery lets you listen for up to 15 hours. And intuitive touch controls give you simple command of your music and calls. 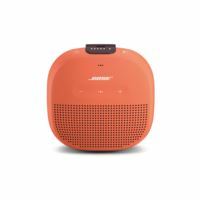 The SoundLink Color Bluetooth® speaker II was engineered to deliver bold sound wherever life takes you. From the pool to the park to the patio, its rugged, water-resistant design lets you enjoy the music you love in more places. 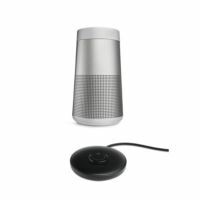 Voice prompts make Bluetooth® pairing easy. And up to 8 hours of listening per battery charge lets you keep your playlists playing. 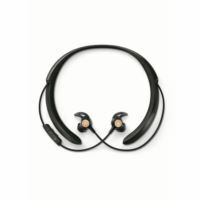 QuietControl 30 wireless headphones let you listen like never before, with breakthrough technology that allows you to control how much of the world you want to let in. Connect easily to your devices with Bluetooth® and NFC pairing. Volume-optimized EQ gives you balanced audio performance at any volume. 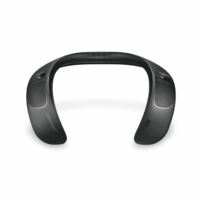 And a lightweight neckband design conforms to your body for all-day wearabililty. 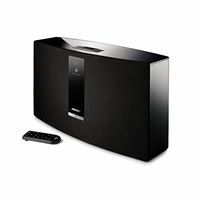 The Lifestyle 600 home entertainment system immerses you in your music, movies and TV with more than just powerful sound. Instead of creating one “sweet spot," your whole room is pulled into the performance. 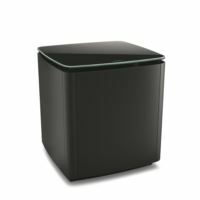 Sleek, compact Jewel Cube speakers and a bass module deliver clarity and bass at all volume levels. The glass-topped console has 4K pass-through and 6 HDMI inputs, works with many other sources and wirelessly connects the rear speakers and bass module. 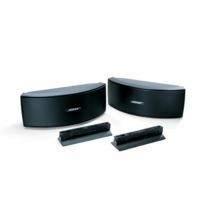 The best 5.1 system from Bose, made for your music, movies and TV and designed to sound every bit as stunning as it looks. Small omnidirectional speakers, a wireless bass module and wireless rear surround speakers deliver an astonishing audio experience that melts luxuriously into your lap. The glass-topped console has 4K pass-through and 6 HDMI inouts, plus Bluetooth® and WiFi technology to wirelessly stream music any way you prefer. You love your current speakers. But there's a world of wireless music they just can't access. Until now. 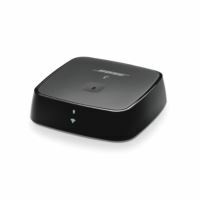 Transform your stereo or home theater system by adding the Soundtouch Wireless Link adapter and stream music from your home Wi-Fi or Bluetooth® devices. 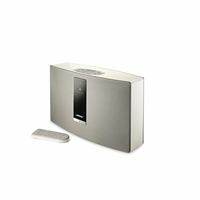 Use the Soundtouch app to control your music easily. 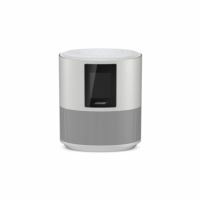 You can even play music all throughout your home by expanding with other Soundtouch speakers. Hear the world on your terms by controlling the sound around you. Innovative technologies in Bose® Hearphones™ amplify softer sounds, let you turn down the distractions in noisy environments and focus on what you want to hear-like a conversation across the table. 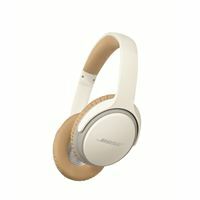 You can even use them as controllable noise cancelling wireless headphones for your music or calls, or just for quiet. 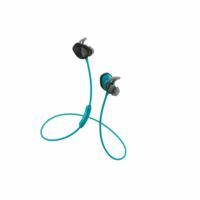 Wearable and comfortable, with deep, clear sound. 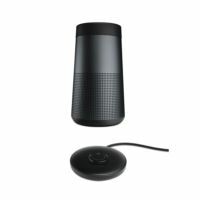 The SoundWear Companion speaker is designed to keep you connected to your music, calls and the world around you. 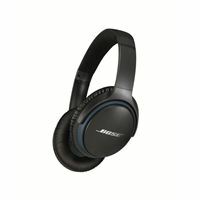 It's packed with technologies that give you the most immersive experience possible while limiting what others can hear. 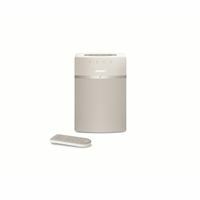 Use it for clear, natural-sounding phone calls, or accessing your phone's Siri or your Google Assistant. Up to 12 hours per charge. 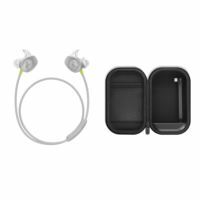 Charge SoundSport wireless or SoundSport Pulse wireless headphones anytime, anywhere with the Bose SoundSport charging case. 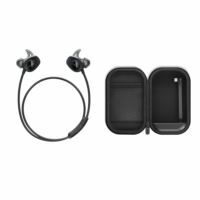 Its built-in battery extends listening time up to 18 hours, and its compact, durable design protects your headphones as they charge. And when you're short on time, just a 15-minute charge gives you up to 1 hour of play time. Demanding workouts demand SoundSport Free wireless headphones. They're completely free of wires, so you'll enjoy complete freedom of movement. They're sweat and weather resistant, too. 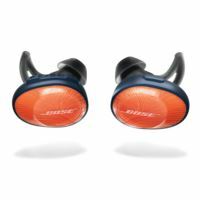 Bose StayHear+ Sport tips are designed to stay secure and comfortable all workout long. 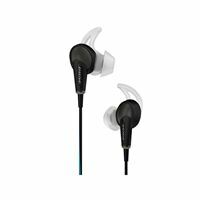 And the earbuds are packed full of technology that makes your music sound so clear and powerful, you'll push past your limits. Keep your SoundLink Revolve or Revolve+ Bluetooth® speaker charged and ready to go, with the SoundLink Revolve charging cradle. It's a convenient home base for your speaker, and you can play your music while it charges. 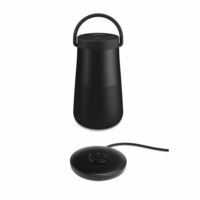 Just plug the wall charger included with your speaker into the cradle. Snoring partners, traffic and other noises keeping you awake? 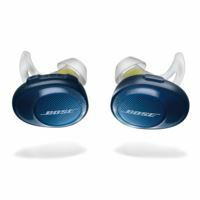 Bose® noise-masking sleepbuds™ are engineered to help you get the rest you deserve. They effectively drown out noise and replace it with soothing sounds. Plus, they're super comfortable and made to stay in place, even if you sleep on your side. You've got the perfect playlist, now make sure everyone gets to hear it. That's what the Bose S1 Pro system was made for. It's a portable Bluetooth® PA speaker made for parties, outdoor get-togethers and all those times that deserve better sound. 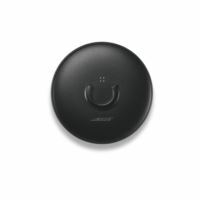 So, whether you're streaming music wirelessly or plugging in a microphone or instrument, bring a pro, the Bose S1 Pro. 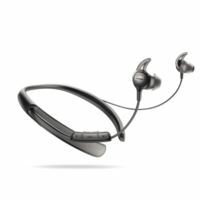 QuietComfort 35 wireless headphones II are engineered with world-class noise cancellation. And now they're optimized for Alexa and the Google Assistant. Choose which is right for you for help on the go. Enjoy entertainment, get information and manage your day-without looking at your phone. Connect to your devices with Bluetooth® and NFC pairing, and enjoy up to 20 hours of wireless listening per charge. 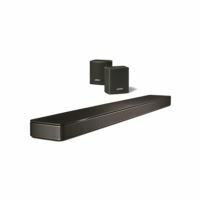 The Bose Soundbar 700 offers an unmatched combination of sophisticated design and exceptional sound, so you can feel the full power in every moment of your favorite music, movies, and TV shows. 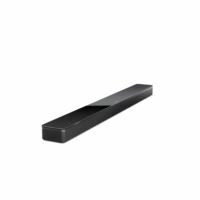 Featuring premium materials and exquisite craftsmanship, the soundbar is designed to look as good as it sounds. Amazon Alexa built in puts all your favorite music at the tip of your tongue. 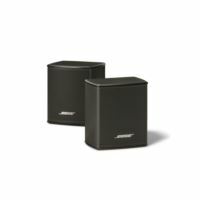 Bose Surround Speakers take spacious sound to a whole new level. Add them to the Bose Soundbar 700 and feel what it's like to be in the middle of what you listen to or watch. These small speakers are designed to blend visually into your room. And because they're wireless, connecting them to your soundbar anytime is easy. 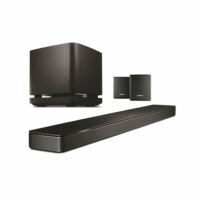 The Bose Soundbar 500 is meant to be heard, not seen. 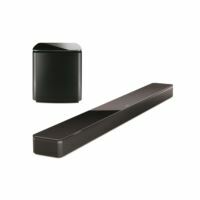 Its thin profile fits discreetly under your TV, while powerful acoustics fill the room. 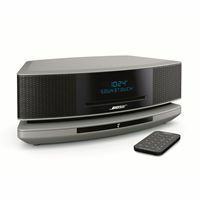 Want to kick up the performance of your Bose Soundbar 500 a notch? You can. Anytime. Just add the Bose Bass Module 500. It's big bass in a small package. 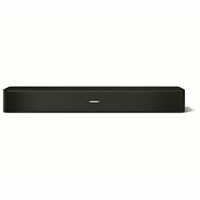 As stylish as it is, the Bose Soundbar 500 is meant to be heard, not seen. Its thin profile fits discreetly under the TV screen, while its powerful acoustics fill the room with sound. And with Amazon Alexa built in, you can ask Alexa to play all your favorite music. Add the Bose Bass Module 500 and/or Bose Surround Speakers at anytime to kick things up a notch. 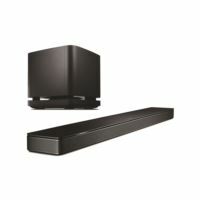 As stylish as it is, the Bose Soundbar 500 is meant to be heard, not seen. 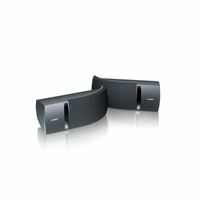 Its thin profile fits discreetly under the TV screen, while its powerful acoustics fill the room with sound. And with Amazon Alexa built in, you can ask Alexa to play all your favorite music. Add the Bose Surround Speakers at anytime to kick things up a notch. 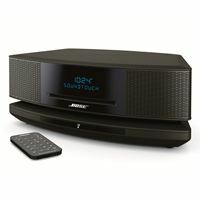 The Bose Soundbar 700 offers an unmatched combination of sophisticated design and exceptional sound. And you can ask Alexa to play all your favorite music. Want to kick up the performance of your soundbar a notch? You can. Anytime. Just add the Bose Bass Module 700. It's the difference between hearing bass and feeling thunder. 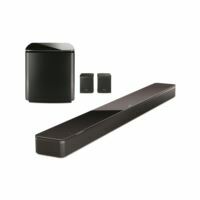 Designed to be the best soundbar in the world, the Bose Soundbar 700 is slim, stylish, and mighty. It's packed with technologies that bring thrilling depth, detail, and emotion to your favorite entertainment. With Amazon Alexa built in, just ask to play your songs, playlists, and music services. And if you want the total 5.1 cinematic experience, add the optional Bose Bass Module 700 and/or Bose Surround Speakers anytime for thunderous bass and full-on surround sound. Deep. Loud. And immersive, too. The SoundLink Revolve Bluetooth® speaker delivers true 360° sound for consistent, uniform coverage. Place it in the center of the room to give everyone the same experience. Or set it near a wall so sound radiates and reflects. 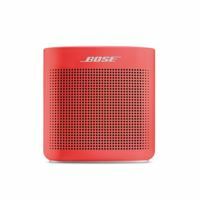 This wireless speaker is durable, water-resistant and easy to grab and go-with a rechargeable battery that plays up to 12 hours. Keep your SoundLink Revolve or Revolve+ Bluetooth® speaker charged and ready to go, with the SoundLink Revolve charging cradle. Deep. Loud. And immersive, too. SoundLink Revolve+, the best-performing portable Bluetooth® speaker from Bose, delivers true 360° sound for consistent, uniform coverage. Place it in the center of the room to give everyone the same experience. Or set it near a wall so sound radiates and reflects. This wireless speaker is durable, water-resistant and easy to grab and go-with a rechargeable battery that plays up to 16 hours. Keep your SoundLink Revolve or Revolve+ Bluetooth® speaker charged and ready to go, with the SoundLink Revolve charging cradle. 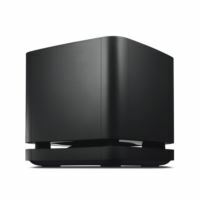 The easiest way to stream music in more than one room. Each SoundTouch 10 speaker delivers full, rich sound and gives you wireless access to the music you love through Wi-Fi or Bluetooth® connectivity. Start with these two, and then add more at anytime. SoundTouch speakers work together, so as you go room to room, your music goes along with you. There's a world of music out there. 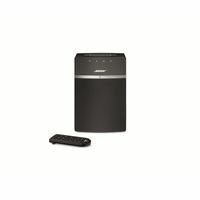 And SoundTouch is the easiest way to play it throughout your home-wirelessly. 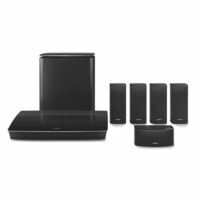 SoundTouch is an entire family of products that let you explore millions of songs from music services, Internet radio stations and your stored music library. 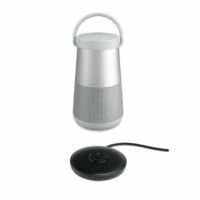 And with six programmable presets, you can access your favorite music instantly, even without a phone or tablet.